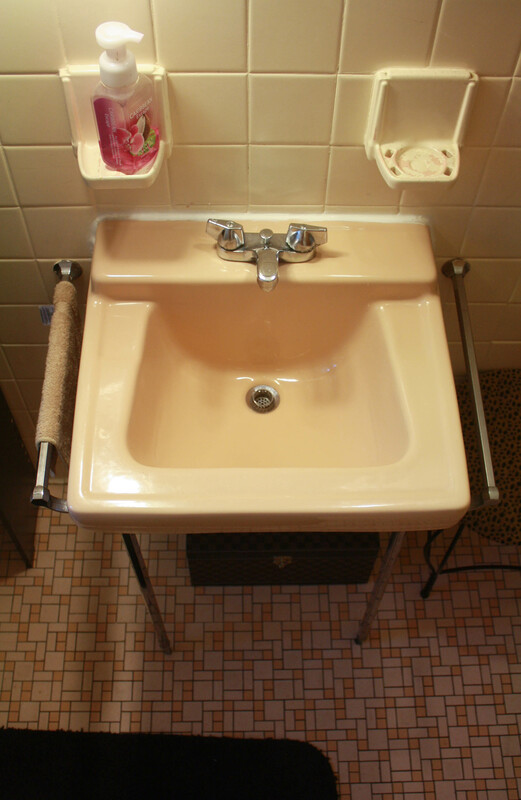 Someday I will be soaking in a jet pool tub, surrounded by fragrant bubbles (wine in-hand), glance across the room at my sweeping, granite, well lit double vanity, and laugh fondly upon the memory of our first apartment’s little peach pedestal sink. That day is not today. Or tomorrow, probably. Having an easy grab-and-go makeup location is a luxury I never thought to value before, but wasn’t willing to give up just because my space was small. So, I’ve had to get a little creative. 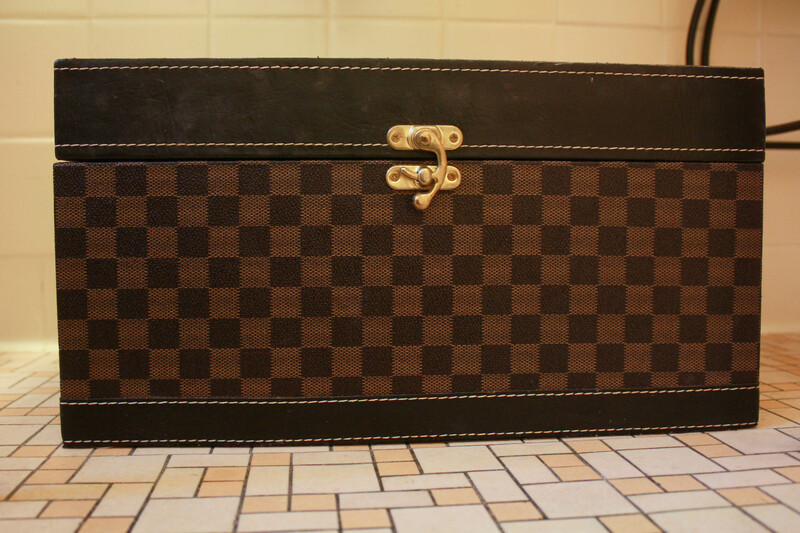 This is the little makeup trunk I tuck under the sink. 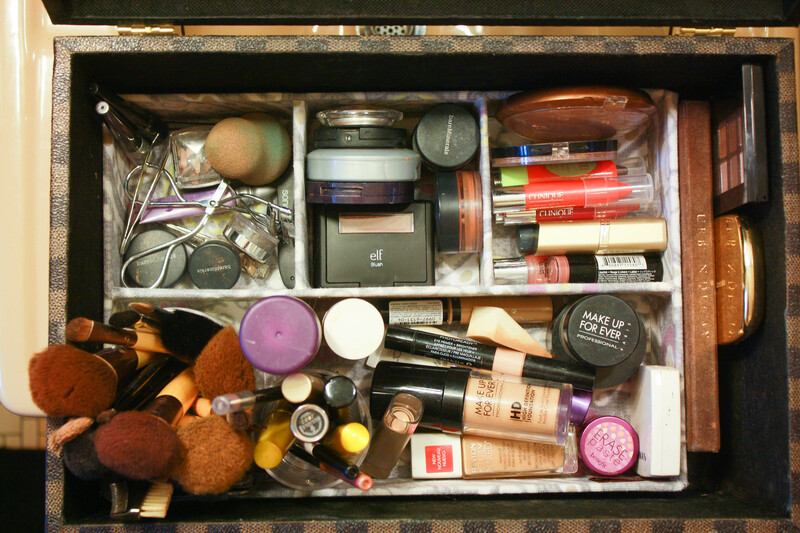 I’ve always preferred drawers or trunks to large makeup bags not only for aesthetics, but I find them easier to rummage through. Do you have a unique storage situation or any ideas for mine? Comment below! Very good idea! I miss the days when I would walk into my bathroom or kitchen and notice that my 3 year old had organized my drawers ( again) !! Yep, you’ve always been an organizer!